What is S.F. doing to improve the condition of its roads? San Francisco has more than 940 miles of roadway crammed into its 47 square miles of city. The city does complete paving work on an average of 600 blocks each year and does pothole work on many more, but all those rough patches can still be tough on your tires. A report released Nov. 7 by TRIP, a national transportation research group, said 71 percent of the streets in San Francisco, Oakland and nearby cities are in poor condition. The region is No. 1 on TRIP’s naughty list; the average motorist in the area loses $1,049 a year in repair costs from driving on the bumpy pavement. The San Jose area, distinct from San Francisco in the TRIP report, has the second-worst roads, with 64 percent in poor condition. John Thomas, San Francisco’s city engineer, says in a city Public Works video that virtually every street in that city is inspected every year. Deciding which streets need what level of repairs, he says, is done on a case-by-case basis. Streets in California are rated using what’s called the “pavement condition index,” with a freshly paved road typically scoring 100. While some low-scoring streets each year require full repaving or more extensive work involving the subbase, Thomas stresses that resources aren’t necessarily guided toward the worst roads first. 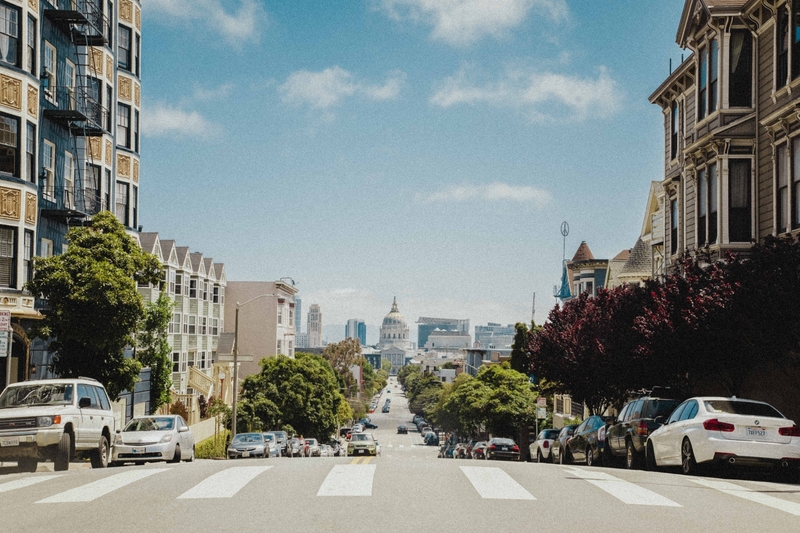 • Street segments are systematically identified for treatment by city Public Works, often in conjunction with agencies like the San Francisco Municipal Transportation Agency and the San Francisco Public Utilities Commission, if their operations figure to be impacted. Sometimes, the need to repair water mains or other utilities under city streets will influence which streets get rebuilt, and when, Thomas added. • Levels of work needed include “micro-surfacing,” which preserves the asphalt pavement by protecting the surface from the effects of natural aging and the environment; grinding and paving, removing old blacktop and replacing it with new; and full street reconstruction, which involves replacement of both the subbase and the pavement surface itself. • Since maintaining (or slightly improving) a road scoring from 40 to 60 on the PCI can cost one-tenth what it can cost to repave or rebuild the same length of roadway, more money usually goes each year toward maintaining “average” roads than rebuilding or completely repaving bad ones. Some of San Francisco’s current and upcoming paving projects can be seen here. This answer was produced by Pactio and Bay City News journalist Sam Richards. Now, it’s time for you to ask your question. Previous PostWhy does it take the OPD so long to respond to phone calls?